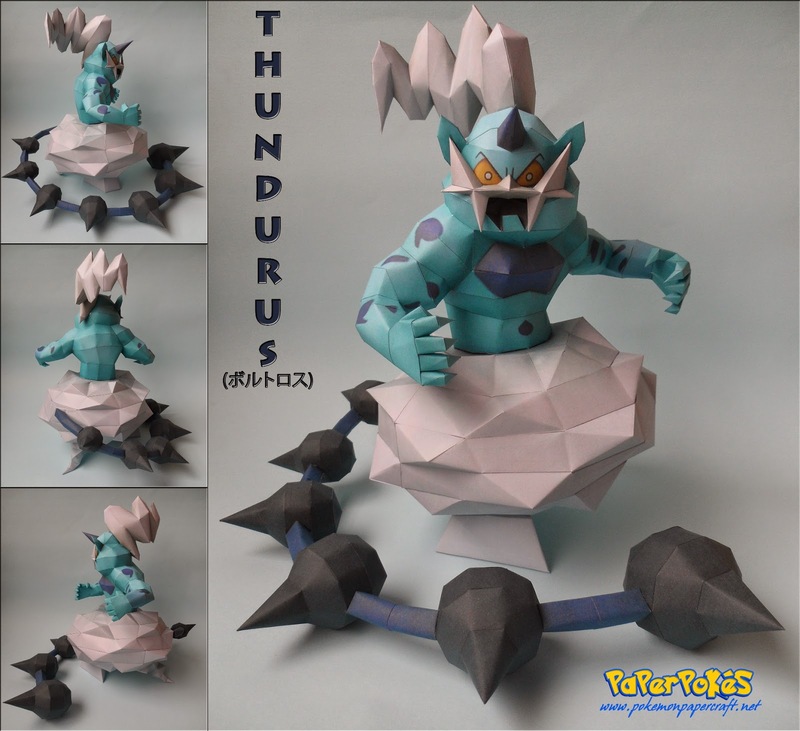 Interesting Facts: In Incarnate Forme, Thundurus is a blue, muscular humanoid Pokémon, which resembles a genie. It is a male-only species with no female counterpart. On its head is a single, long, sharp, purple horn. Thundurus has white, zigzagging and jutting styled hair, a spiky white mustache and two pointed blue ears on either side of its head. Its eyes are yellow with beady white irises and no visible pupils. NOTES: Build from top to bottom. Do the Cloudy- Hair first. Then go your way down. Be patient with fingers. Build the Cloud base from bottom to top. Stick the tail when you're done. Can I ask you to post Mega Charizard X please!